1. We don't let the Bible speak for itself. It is a common mistake to ask the wrong questions when reading the Bible. Rather than asking "Who am I?" 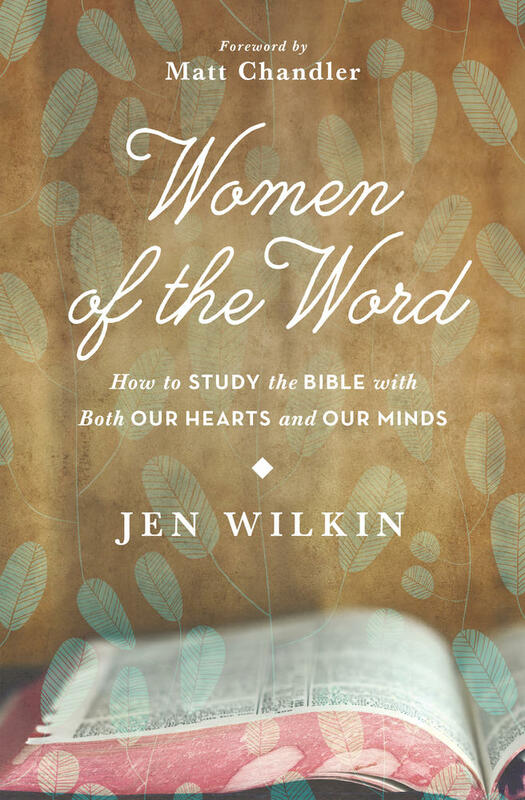 and "What should I do?," Jen Wilkin, author of Women of the Word: How to Study the Bible with Both Our Hearts and Our Minds, suggests asking "Who is God?" and "What has he done?" The Bible is a book that boldly and clearly reveals who God is on every page. In Genesis, it does this by placing God as the subject of the creation narrative. In Exodus, it places him in comparison to Pharaoh and the gods of Egypt. In the Psalms, David extols the Lord’s power and majesty. The prophets proclaim his wrath and justice. The Gospels and Epistles unfold his character in the person and work of Christ. 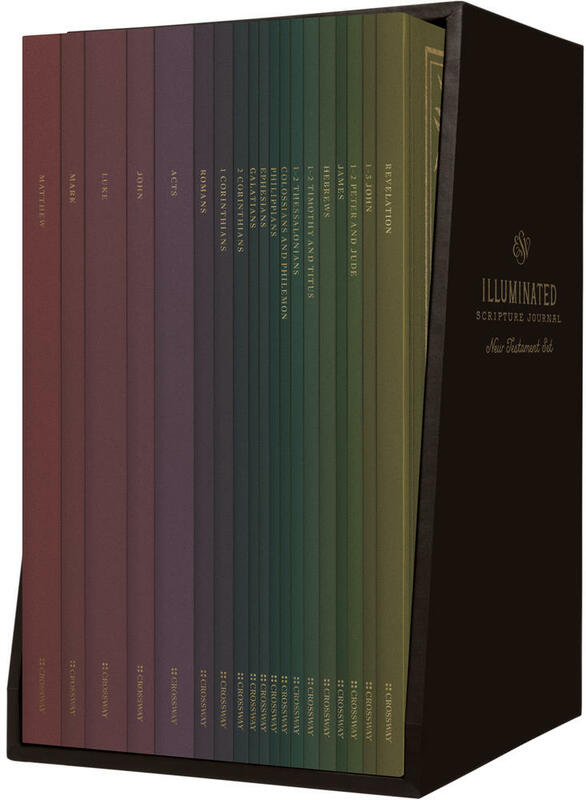 The book of Revelation displays his dominion over all things. From beginning to end, the Bible is a book about God. 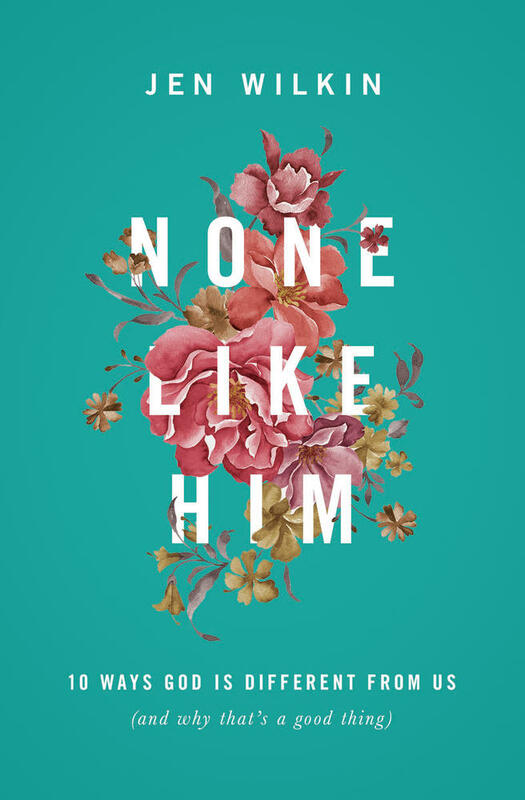 The Bible certainly has something to say about who we are and what we should do, but it is important to remember that it is much less a book about us and much more a book about him. 2. We allow our hearts to guide our study. Interestingly, the same verse that commands us to love God with all of our hearts also commands us to love him with all of our minds. Our minds are the seat of our intellects. Attaching our intellect to our faith does not come naturally to most of us. We live in a time when faith and reason are spoken of as polar opposites. At times, the church has even embraced this kind of language. For some of us, the strength of our faith is gauged by how close we feel to God at any given moment—by how a sermon made us feel, by how a worship chorus made us feel, by how our quiet time made us feel. Love for God can, in fact, stem from knowing God. When we engage our minds, our hearts can follow suit as we come to a deeper appreciation of God as revealed in Scripture. Wilkin goes on, "We must love God with our minds, allowing our intellect to inform our emotions, rather than the other way around." 3. 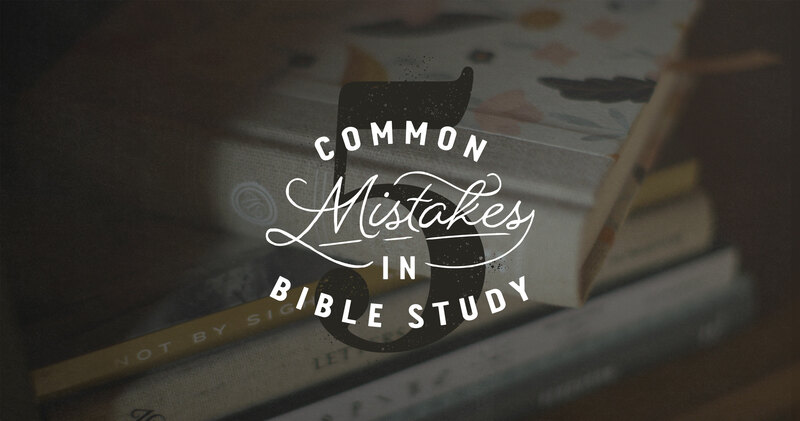 We skip over large swaths of God's Word. The gospel is good news, but not every page of the Bible is intended to make us feel good about ourselves. Quite to the contrary, Scripture often points out our depravity and unfaithfulness. However, it also reminds of our faithful God. When we pick and choose verses from Scripture aimed merely at lifting our spirits when we're feeling down, we run the risk of reducing the Bible to a self-help manual. Wilkin says, "Yes, there is comfort to be found in the pages of Scripture, but context is what makes that comfort lasting and real." guarantees that huge sections of our Bibles will remain unread because they fail to deliver an immediate dose of emotional satisfaction. We are not very likely to read Leviticus or Lamentations if we subscribe to this approach. 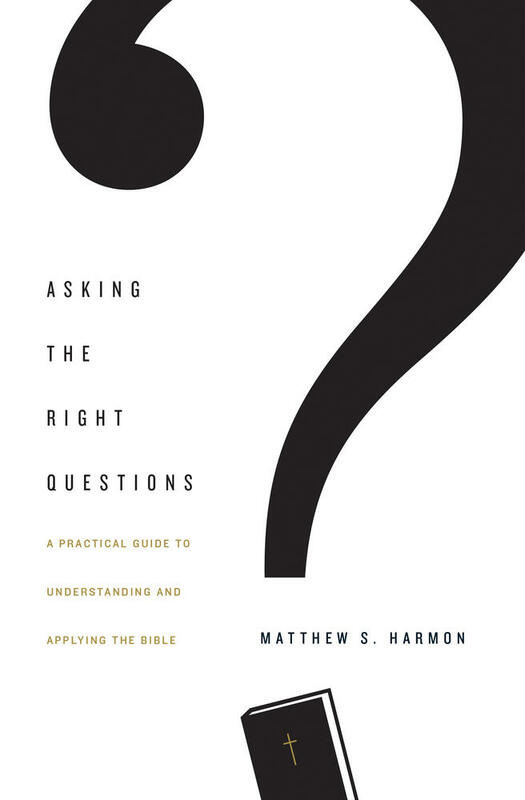 A well-rounded approach to Bible study challenges us to navigate all areas of the Bible, even those that make us uncomfortable or that are difficult to understand. 4. We confuse reading books about the Bible with studying the actual Bible. If I prefer reading what others have written about the Bible to reading the Bible itself, I am probably reading what someone says about what someone says about what the Bible says. 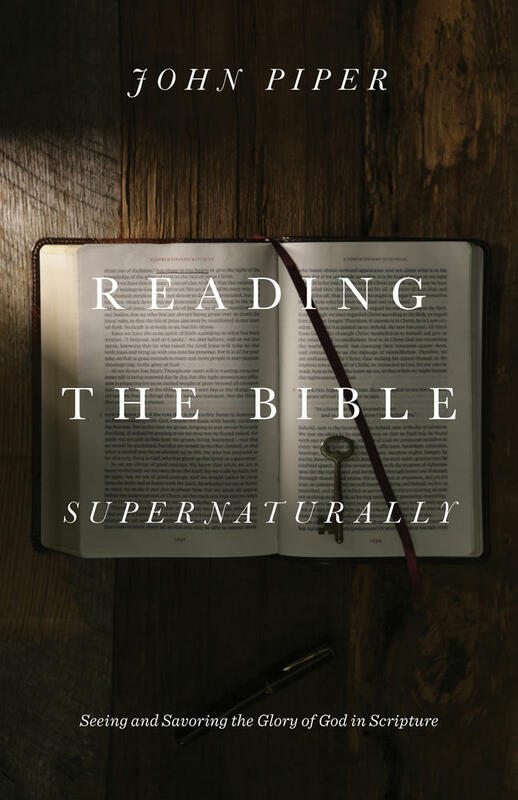 As with topical studies, books about the Bible can be helpful, but they are not foundational. 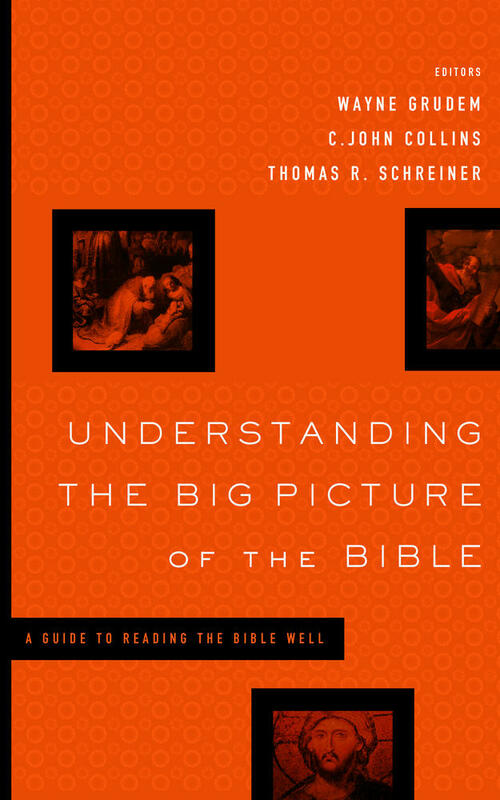 The more time we spend in the primary source (the Bible), the more we'll know and understand it. Other people's thoughts about the Bible are meant to supplement our own, personal engagement with Scripture. 5. We fail to see the big story of Scripture. Without the bigger picture, we can gain only a partial appreciation of what any individual snapshot is trying to tell us. From Genesis to Revelation the Bible is telling us about the reign and rule of God. Its topography speaks of creation, fall, redemption, and restoration in every vista. The topography of the Big Story is populated with different genres of writing—Historical Narrative, Poetry, Wisdom Literature, Law, Prophecy, Parables, Epistles—all conspiring to expand our understanding of the reign and rule of God in different ways. Our disconnect from the metanarrative of the Bible can render us much like a gardener who fails to recognize colored leaves as a sign of autumn rather than a sign of disease. When we are fuzzy about the Big Story, we may have difficulty finding continuity between the God of the Old Testament and the God of the New Testament. We may have trouble relating to the Old Testament at all. We may misinterpret the purpose or emphasis of a smaller story because we have considered it apart from its relationship to the Big Story. We need to hold the metanarrative in our minds as we read each page of the Bible, remembering that just like in our lives, sometimes we may not understand what God is doing in the short-term, but we can trust him in the bigger picture.